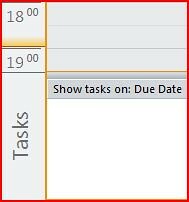 For a few months now the fact that I could see my tasks at the bottom of my Calendar view was driving me insane. Not sure why, probably because I’m pretty finicky……..OK, OK, a lot finicky :). But after some searching I found that you can turn them off. 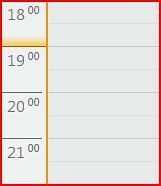 The example below shows the ‘Normal’ setting. Make sure the ‘Mark item as read when selection changes’ tick box is unticked. You should now be a move away from the message without any settings changing. 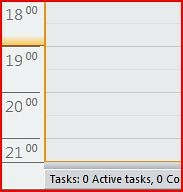 For months now I have been driven insane by my Outlook…for some reason the Reading Pane had decided to give up the ghost, for no apparent reason whatsoever. I kept looking in the ‘Customise Current View’ section of my inbox, but there is was, still set to ‘Bottom’. Very frustrating. So I decided to search for a solution. Hidden away in the Help of Outlook is a section called ‘Disabled Items’, and there is was sitting there, as if looking at me in a cheeky way…I selected it, clicked ‘Enable’ & ‘Close’, restarted Outlook, and, hey presto, my Reading Pane was back.